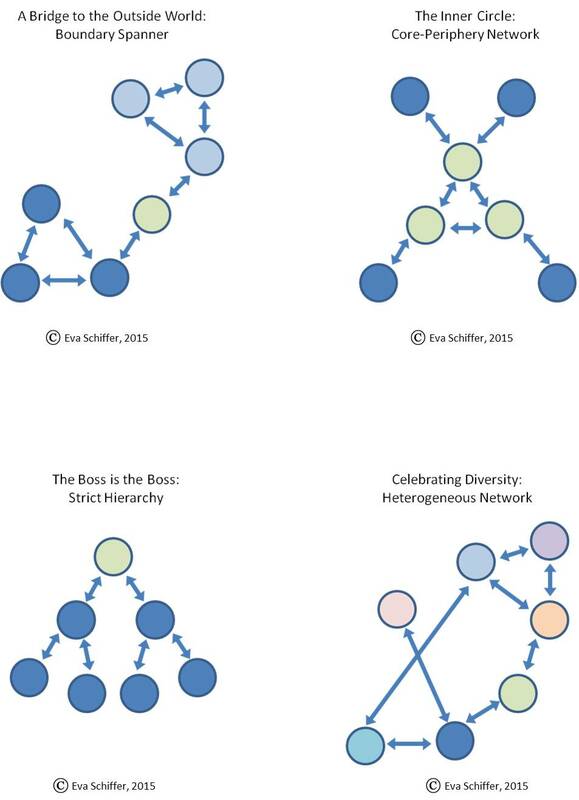 By relating their own experience to prototypical network patterns, groups can get a deeper understanding of how they work together (or not) and what the opportunities and challenges of each of the different patterns of self-organization are. 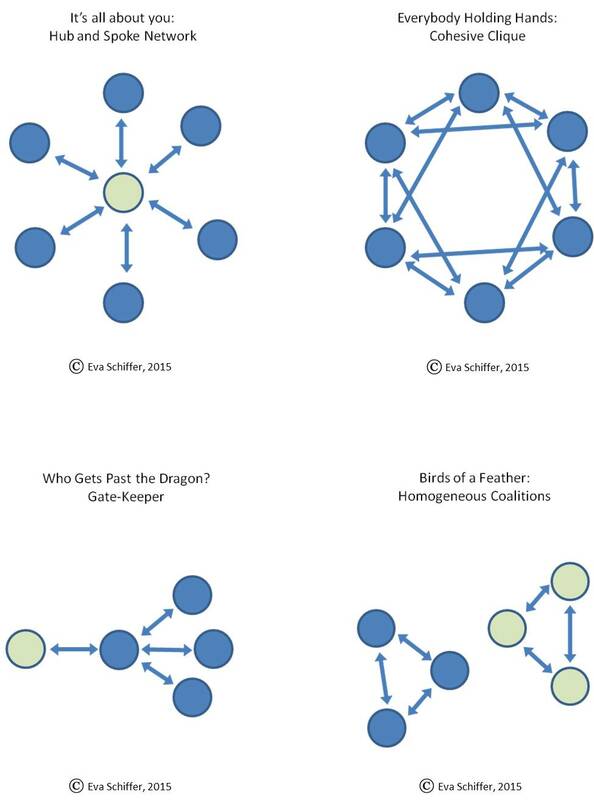 Also, these patterns give group members a language to talk about how they experience collaboration, what they appreciate or struggle with and what kind of network structure they prefer. 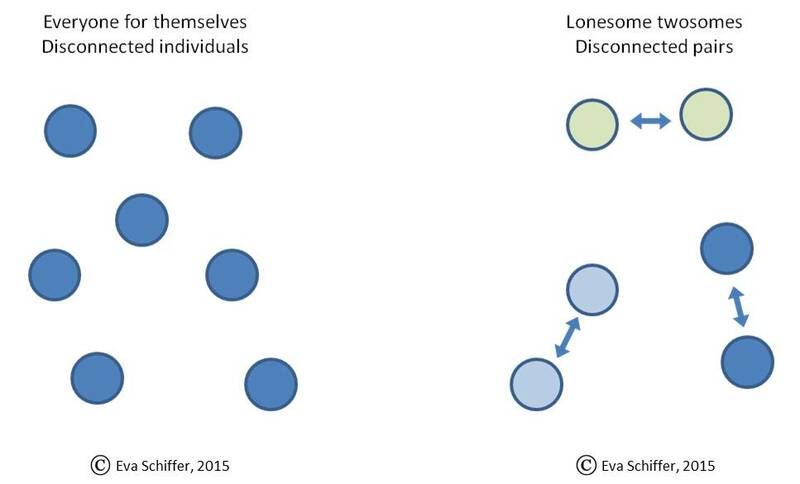 In many cases this will be more of an exploration and an exercise to understand other’s preferences better – because every pattern carries challenges and opportunities, there is no one perfect solution for the group to discover. These cards can be used in many different ways – and the patterns are far from complete. Please find detailed instructions for one exploratory exercise with groups here (inclusive of an easy to print version of the patterns). And don’t hesitate to contact me with questions, ideas for missing patterns, examples of how you used this etc.